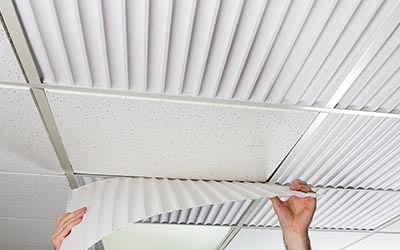 The new Genesis Acoustic Series has been engineered to address the need for acoustic control in a high-performance, water-&-mold-resistant ceiling tile. 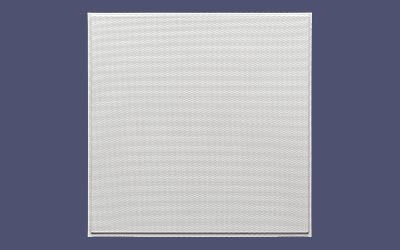 These 0.028-inch thick panels are micro-perforated to provide a significantly higher Noise Reduction Coefficient (NRC) than our Genesis Standard or Designer Series ceiling panels. 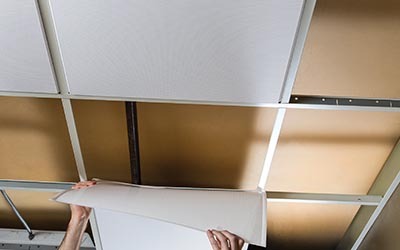 Perfect for retrofits or new construction, these panels easily install under old, damaged ceiling tiles to provide a new look, acoustic control and lifetime value. When combined with an existing fiber tile or our polyfiber batting, the NRC achieves an industry standard of 0.45 to 0.65. Corrugated panel is designed to look great while providing acoustical control. The corrugated style imparts rhythm and elegance to any interior space. Available in White, 2′ x 2′. 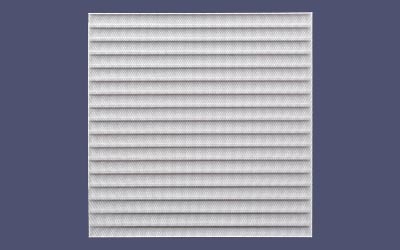 Microperforated Revealed Edge provides the architectural styling of a tegular panel while providing acoustical control and high performance. Tile is washable, waterproof and moldproof. Available in White, 2′ x 2′.